Please have a look at the pools swimmers like you have reported near Kobe. Please, report any Kobe Pool not listed here. Are you a regular swimmer? Have you ever practiced Aquagym in Kobe? Let us know!. There are typically discounts available to senior citizens and tiny children for independent swim. 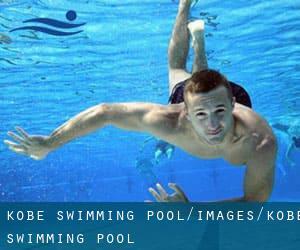 Find out by contacting your nearest pool among these varieties of Kobe Swimming Pool. Do you know of any Pools in Kobe that need to be listed here? Contact us!. Swimming is a sport for all ages. It helps young consumers to tone their muscles and grow wholesome and robust. For the elderly, there's no greater way to physical exercise than finding a Kobe Pool to escape from daily routine. Regular users in the following varieties of Kobe Swimming Pool told us probably the most essential thing about swimming is to control your breathing. Sometimes this is not probable given that we raise the neck to breathe as well as the body is not aligned. To avoid this, our head should be aligned with our spine all the time. One of the advantages of outdoor swimming in Kobe is the possibility to sunbathe for the duration of the summer season. Taking it with added care, sunbathing is healthy since introduces Vitamin D into the body, so the most beneficial choice seems to be switching between indoor and outdoor pools based on the season. Enjoy the best indoor pools in Kobe and don't worry about the weather. These facilities are open all seasons and you can enjoy a swim at the same temperature every day of the year. There are many reasons why you'll want to choose a heated swimming pool in Kobe. The most critical one relies on the importance of keeping the body temperature stable. If the water is too cold, your body will try to warm it up and you will lose strength to swim effectively. 3-11-26 Karumojima-cho , Nagata-ku , Kobe , JAPAN (Postal Code: 653-0033). This sports center offers 25 meters, 7 lanes, 1.2 meters depth, 1.2 meters depth, Indoors. For this Swimming Pool, only phone number is number here. Forest South Town 1 - 5 - 1 , Higashinada-ku , Kobe , JAPAN (Postal Code: 658-0011). This sports center delivers 25 meters, 5 lanes, Indoors. For this Swimming Pool, only phone number is number here. Higashikawa Promontory Town 1 - 7 - 7 , Chuo-ku , Kobe , JAPAN (Postal Code: 650-0044). This sports center gives 25 meters, 5 lanes, Indoors. For this Swimming Pool, only phone number is number here. 3-1-32 Isogami-dori , Kobe , JAPAN (Postal Code: 651-0086). Swimmers like you reported 25 meters, Indoors. Unfortunately we do not have the email address of this Swimming Pool, but we can give you the phone number. Sumiyoshi , Kobe , JAPAN (Postal Code: 658-0081). Among all the activities provided by the center, should you be interested in swimming you are going to take pleasure in 25 meters x 15 meters, 8 lanes, Indoors. Just in case you would like to contact this Swimming Pool prior to dropping by, we only know the phone number. Hasuikecho , Nagata-ku , Kobe , JAPAN (Postal Code: 653-0837). This sports center offers 25 meters, 7 lanes, 1.2 meters - 1.3 meters depth, 1.2 meters - 1.3 meters depth, Indoors. For this Swimming Pool, only phone number is number here. Chuo Ku 5-1-21 , Kobe , JAPAN (Postal Code: 651-0087). Swimmers like you reported 25 meters, 5 lanes, Indoors. Unfortunately we do not have the email address of this Swimming Pool, but we can give you the phone number. 12-1 Minatojima-nakamachi , Chuuou-ku , Kobe , JAPAN (Postal Code: 650-0046). Few days ago a typical user of this center told us they offer Olympic size, 8 lanes, 2 meters depth, 2 meters depth, Indoors. 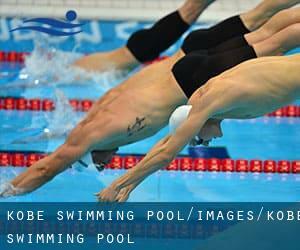 Furthermore, they keep in good conditions 25 meters, 5 lanes, 1.1 meters depth, 1.1 meters depth, Indoors. For this Swimming Pool, only phone number is number here. Aoyama Stand 7 - 7 - 1 , Tarumizu-ku , Kobe , JAPAN (Postal Code: 655-0873). Swimmers like you reported 25 meters, 6 lanes, Indoors. Unfortunately we do not have the email address of this Swimming Pool, but we can give you the phone number.